My Innisfree one is on its last few uses and I don’t have any other powder (shocker there) so getting a new one was definitely in my makeup to-buy list. I wanted the Maybelline Fit Me Powder but they don’t have my shade and it was pricier than the Catrice one so I’m giving this one a try instead. I don’t have super oily skin or anything but let’s see if it can control my oil the next time I decide to wear makeup. I have to give it to Iman Abdul Rahim on Twitter for raving about this product and also for inspiring this haul because most of the products in this haul were suggested by her. I don’t have dark circles problem but hello, a drugstore concealer that is lighter than my skin tone suitable for concealing my under eye? Heck yes! Another recommendation from Iman Abdul Rahim that I’m so excited to try! I’m not a bronzer-lovin’ kinda girl but sometimes I hate how white I look with foundation. The only bronzer I have was from ELF but it’s quite glittery and less powdery than this Catrice one. I wanted a matte and easily blend-able bronzer and based on reviews, Sun Glow Bronzing powder is one of the best at the drugstore. Iman Abdul Rahim recommendation, again! I got them in two shades; Smart Mauve and Daily Dose of Rose. My, my, my. I swatched it at home and oh boy the pigmentation is crazy, it’s metallic and who doesn’t want metallic rose gold on their eyes?! I can see that Daily Dose of Rose is going to be my go-to I-have-5-mins-to-do-my-makeup look. These are everything I got from Catrice. I think that Catrice is one of the most affordable brands with high quality products, definitely cheaper than Maybelline, L’Oreal, and Revlon. Their mascaras are also amazing! 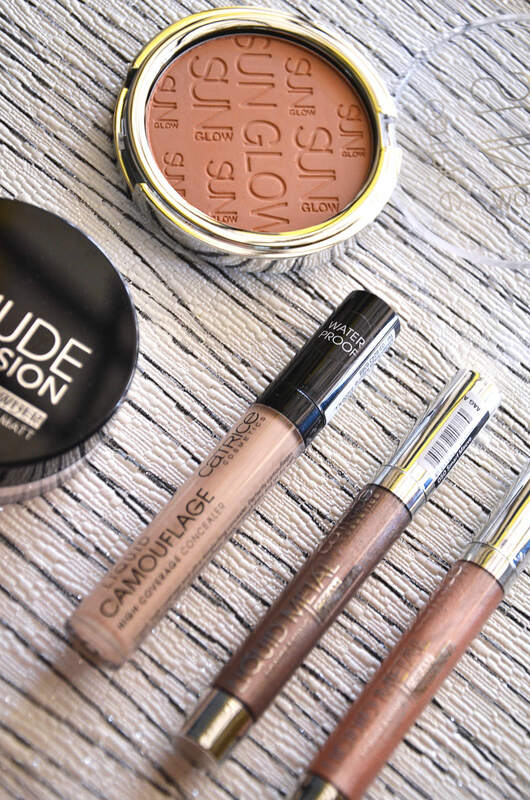 Have you tried anything from Catrice?